The article aimed to analyze the impact on net income of publicly traded companies listed on the BM & FBOVESPA that make up the IBOVESPA after the adoption of the international accounting standards adopted in Brazil with the introduction of Law 11,638/07 and subsequent approval of accounting pronouncements. To this end, an extensive literature review to provide theoretical foundations. Applied research of the difference of means test with a significance level of 5% and 1%. The data for the research were extracted from Economática ® software after the deadline for disclosure of the DFPs (standardized financial statements) established by the CVM (Brazilian Securities Commission). The results showed that there was a significant difference in net profits of publicly traded companies that make up the IBOVESPA after the adoption of the international accounting for 41% of the companies analyzed at a level of significance of 5% and a significant difference for 32% of companies to a level of significance of 1%. Keywords: net income; publicly traded companies; adoption of international accounting standards; IFRS. Currently, there are a number of companies with their shares traded on BOVESPA BM&F (securities, commodities and Futures Exchange in Sao Paulo). Companies listed on the stock exchange are owned by various branches and segments, leaving in evidence the diversity present. The advantages gained by the companies that decide to participate in this type of process, namely, the trading of its shares on the stock exchange, can be summed up in the following statement: "companies use the stock market to raise funds and finance their growth projects in order to become more competitive. "(BOVESPA, 2014, p. 1). Thus, the need to understand the complexity that involves such trade relations, which will be made in the text in question from the analysis of the impact on net profit occurred in publicly traded companies after the adoption of international accounting standards. The adoption of new accounting standards, with the introduction of Law 11,638/07 and subsequent approval of pronunciamentos contábeis CPC, brought a new era for accounting of Brazilian companies. There was not a simple change of standards. Internationalization has brought a change of philosophy, attitude and thought, with three topics: Essence on the way, primacy of analysis of risks and benefits on the property-driven standards and legal principles. This new scenario required accounting professionals involved in financial statements greater subjectivity, as the new standard is based on principles and, in this way, many issues have come to require greater professional judgments (MALIK and SANTOS, 2008; SANTOS and CALIXTO, 2010). If the adoption of the new accounting practices brought a lot of benefits with regard to transparency and the quality of information presented, on the other hand appeared "potential instruments of manipulation. "(BAPTISTA 2009). In this new scenario, the accounting net income began to suffer heavy interference of the new accounting standards. This new scenario, there is the problem of the research: to what extent the adoption of international accounting standards has impacted the accounting net income of publicly traded companies listed on the BOVESPA? This research aims to analyze public companies listed on Bovespa BM&F that make up the IBOVESPA after the adoption of International Financial Reporting Standards (IFRS) as regards the impact on net financial income. To do so, so that the issue is clarified in all its aspects, the path taken to the analysis was made from the specificity of each concept and the relevance of each to the theme in question, presentation of the methodology used for data analysis, statistical analysis of net income after the introduction of IFRS in comparison with an earlier period the adoption of international standards and conclusion. The rationale for this work is the contribution that it can generate for a better understanding of the possible impact of the adoption of international accounting standards as determinant of the net profits of publicly traded companies. 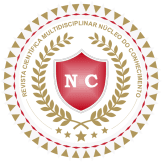 It is not intended with this article to address every scenario that may have changed in some way the expectation of net profit of the companies analyzed, since net income is impacted by several factors, not as the interest rate of the economy, the political scenario, reinvestment rate among many others. Barnes et al. (2011) analyze the changes of the accounting practices that have been adopted in Brazil through the regulatory framework of financial accounting, by the enactment of law 11,638/07 and the provisional measure 449/08. 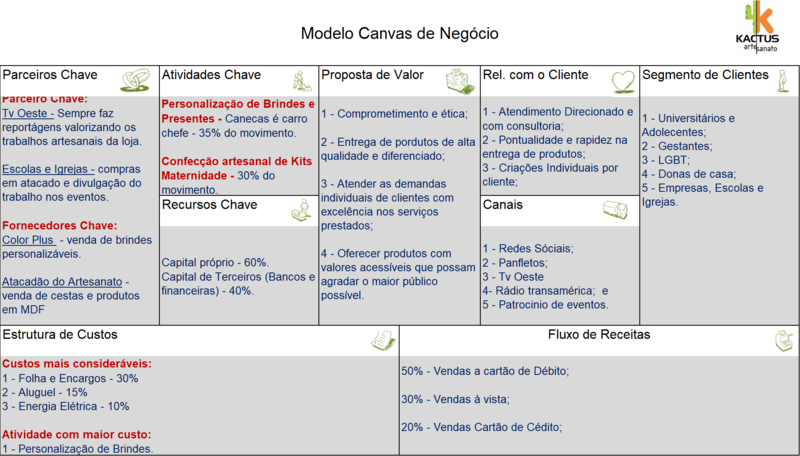 Regarding the first, created to converge accounting standards to international locations, the author in question assigns as consequences a number of modifications in the legislation as regards accounting practices in Brazil, being the main reason of such consequences precisely the above-mentioned convergence, that is, from local to international accounting standards. In other words, after the law in question, the legal precedent necessary for the achievement of this convergence of accounting standards has been established ". Considering the major changes brought by law, LODDI (2014) States that changes in corporate law for a long time had been requested by Brazilian companies, but that after its creation, few were as prepared for the changes, that is, some transformations are limited and can only be held under the law, but with respect to those who are not, the same has not been demonstrated even if minimally, by companies that requested changes. It is important that it is cited the law 6,404, of 1976, since the law 11,638 from 2007 was drafted from modifications in relation to the same. In General, although there are criticisms about the international standards with regard to accounting, the idea of adopting the standards in question concerns the objective of aligning the accounting related to Brazilian companies with the norms of the world as a whole, characterized by strong aspect of globalization. 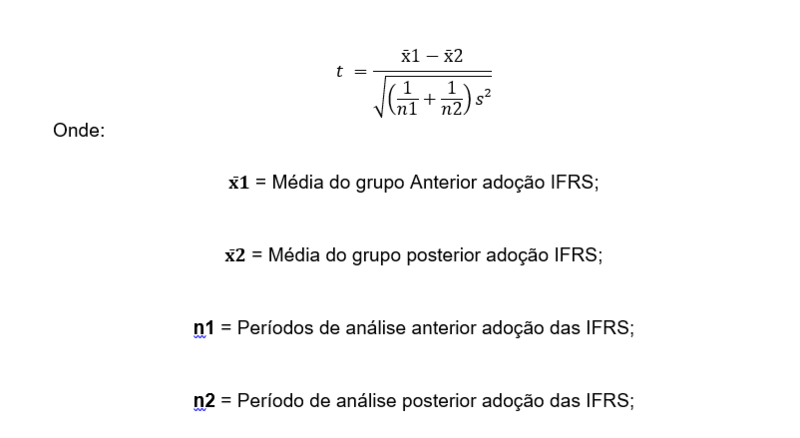 Santos and Calixto (2010) comment on accounting harmonisation between the pattern of national accounting standards with IFRS, so that if Brazil went along to the internationalization of their accounts, pointing out that the essence about the shape and transparency for investors would represent profound transformation in accounting professional and in market discipline curriculum area. In Brazil, the expectation of convergence with the IFRS was that, as has happened in other countries, companies acquire benefits of liquidity, lower capital costs and greater appreciation and attractiveness on the market. For Saints and Calixto (2008), the main changes introduced by the law/07 and 11,368 by MP 449/08 were: financial instruments; Fund market operations; in intangible assets and deferred charges; the reduction of assets the recoverable amount; on the adjustment to present value; the equity method; transaction costs and premiums on the issue of securities; in government subsidies and assistance; on revaluation of assets; in the share-based payment. In order to analyze the impacts of accession to the new Act in net profits (LL) and equity (PL) companies, Saints and Calixto (2010) reaped the standardized financial statements (DFPs) of 2008, provided by companies listed on the São Paulo Stock Exchange-level 1, 2 segments and new market – through the CVM until 10 days after the end of the regulatory period (April 10, 2009). The sample analysed, were excluded from the financial institutions, the companies with different closing date 31/12 and those that did not provide DFPs within two years of the authors ' analysis. According to Santos and Calixto (2010), of the 318 companies observed, only 28% reapresentaram the financial statements of 2007 as the 2008 rules (for comparison purposes), and only 11% presented in NE reconciliation of the effect of Law 11,638/07 in the result and PL the two years analyzed. The authors offer companies promoted transparency, Yes, the who declared effect of the new law, only 41% reapresentaram 2007 balances and only 18% have published the reconciliation of two years – which makes the work of analysts, causing some "accounting confusion" and harm the balance analysis of 2008. Santos and Calixto (2010) report an inconsistency in the effect of new accounting law about the results reported by companies in 2007 and 2008: because one of the 175 companies that published the conciliation table of results of 2007 and/or 2008 showed an average increase of 8.1% on the result of 2007 and a decrease in average of -7% in 2008. The sample was reduced to 34 companies that offered the reconciliation of the two years analyzed, allowing the authors find that these inconsistencies related to the impacts of the global financial crisis. Because of the difficulties, the authors recommend greater investments in transparency on the part of organizations and their investors, mainly in the transitional period until the full IFRS in 2010. Barnes et al. (2011) conducted a survey on the changes brought by law No. 11,638/07, the MP 449/08 and the pronouncements issued by the Comitê de Pronunciamentos Contábeis (CPC) with regard to the accounting practices adopted in Brazil, with the term starting in 2008. According to the authors, such changes were carried out to convert the local to the international accounting standards, setting a legal precedent. For example, the law No. 11,638/07 changes the law No. 6,385/76 (Law of the Securities and Exchange Commission), the possibility of the CVM, Brazil's Central Bank and other regulators from concluding an agreement with an entity that seeks to study or disclose the principles, norms and standards of accounting and audit. In a survey of 75 publicly traded companies who trade stocks on the Bovespa, in various sectors of the economy (except insurance companies and financial holdings), Barnes et al. (2011) analyze the statistics of financial indicators calculated on the basis of the financial statements for the financial year 2007, published in 2008 in comparison with the resubmission of data in 2009. When using the non-parametric Wilcoxon test, the authors state that, at a significance level of 0.05, the average rates of indebtedness from the financial statements of 2007 "originals" to the 75 sample companies is significantly different from the average of the rates of indebtedness from the "restated" statements of the same companies, when under the terms provided for by law No. 11,638/07. According to the test, it was noticed a significantly higher number of companies that have increased the index of indebtedness in comparison to those who had this index decreased. It was presumed that this effect would be derived from the changes that have affected the equity, caused by changes in the measurement of financial instruments in evaluating corporate investments, non-recognition of deferred items, for example. It was determined the effect of the changes of law No. 11,638/07: reduction of the equity component (39 of 44 cases there was an increase of indebtedness); increase in liabilities (in 26 of the 44 cases); both factors simultaneously (22 of 44 cases). In relation to the profitability index, there was the same value before and after in 12 companies, already in its reduction occurred 26 and 37 there was increasing, but not enough to change the amplitude of the average before and after. A similar situation happened with regard to the composition of the debt index, the index of current resources and the participation of the result on operating expenses. Considering the importance of internationalization and its rules, as mentioned in the previous topic, valid address three factors considered consequences of the changes brought by these standards: the so-called "essence on the way", in the first place; the primacy of the analysis of risks and benefits legal property, and, finally, calls "principles-driven standards". With respect to the first one, that is, the essence on the form, it is necessary to point out, first, that standards related to internationalization were thought from the fact that for a long time there has been a pattern that unificasse all countries. The reason of such complexity in relation to accounting is by consensus of scholars to consider science as a social science and exact, not be classified as a reflection of each country and society. Among the establishment of international standards is of the utmost importance to the situation of the legal system, which can be considered as two species. The first is known as Roman law, according to which something has value from its mention in the law. Already from the second species, known as customary law, the regulation is related to the habits and customs of society, this being the starting point for the standard rules between all countries. In this sense, the term mentioned here refers to the primacy of economic essence on the legal form. In view of the new accounting scenario, that is, the inclusion of international accounting standards, Peter (2012) warns about the reflection on the primacy of essence on way, stating that the only accounting will fulfill its real function, that is, provide useful data – from the moment that reflect actual economic reality form and, for both It is necessary to "observe the primacy of economic essence on the legal form of economic events". The consequences of this type of paradigm shift will ultimately affect professionals, academics and others involved with economic transactions, which are independent of legal treatment. In this sense, the author in question works the opportunity to rethink the accounting rules so that the new way deployed is correct. According to COSTA et al. (2014), it is a concept whose proportion affects all thought related to the accounts so far, since always the reverse, that is, the form about the essence. The first law created with the objective of regulating the accounting, which occurred in 1976, I made the form about the essence. Already the law 11,638/07, already cited above, has as a priority the essence about the form, characterized as "concern about the accounting of the various operations involved in the company giving emphasis to the economic objective, and not the way that this goal is materialized or occurs". In this sense, it is a valid address, as something to help in the understanding of the issue at hand, the concept of essence and its relevance to the accounts. In General, the essence can be seen as responsible for constitute something, being this the substance or main idea. With respect to accounting, specifically, the essence means what is externalized by the way. In General, the benefits can be summarized in two essential factors for the success of any company, security and reliability. IE: really useful information and safe may benefit the company bringing factors such as investment guarantee, better planning, greater safety in its operations in the market, among others. To this end, it is necessary the use of tools and mechanisms to facilitate the obtaining of such information. As an example, the so-called "Enterprise Resourcing Planing" (ERP), a system that allows the company to generate secure information with prices not so high. In this way, "the reliable information provides an organization credibility to raise resources from both national financial system as investors in General in Brazil and abroad. (PEDRO, 2012, p. 11). The key concept to understand this new way of working the accounts refers to the idea of subjectivity, since this allows the person responsible for the launch of accounting events to judge the facts, assumptions and conclusions through their own ". (COSTA et al., 2014, p. 3). However, even if the person is not prepared for such liability in some cases, still need to prioritize the reality in place of legal form, since the latter can eventually hide the reality of the facts and thus distort the information needed. In addition, the benefits of this new focus can be several, the main ones being related to the provision of information, that is: in the case of management accounting, for example, are not required to follow tax rules when drafting reports, which allows the offering of information and secure faithful with regard to the business. On the other hand, in the case of the so-called tax accounting, this type of application would bring with potential problems, given the obstacles encountered by the counter at the time that you want to portray any fact. From your reading and research on the subject hereof, Cardoso (2012) notes that the Act of inserting business legal subjectivity is present for a long time. In addition, it is noted that the concept of subjectivity entered in the accounts turns out to this area to the other approach, being beneficial in this regard. The nature of this research is empirical base. As to the objectives, the research highlights the exploratory and descriptive bias. To analyze the impact of new accounting standards adopted in Brazil from 2008 with the enactment of law 11,638/07 and the consequent adoption of international accounting standards by Brazilian companies, an extensive literature review to provide theoretical foundations. Furthermore it was extracted from the software Economática ®, 4/9/2015, the net profit of companies who trade their shares on the São Paulo Stock Exchange and that are part of the IBOVESPA INDEX. In order to get a better result in tests, were excluded from the research sample financial firms therefore suffered special regulation of the Central Bank of Brazil, many standards or were already used before the adoption of the new accounting practices or were not introduced immediately with the enactment of the law and adoption of IFRS. Nevertheless, were excluded from the sample of the survey companies that failed to disclose its results for a period of seven years prior to the beginning of the adoption of the new standards and seven years after the adoption of the accounting standards, being excluded from the sample with the goal of not enviesarem the statistical tests. 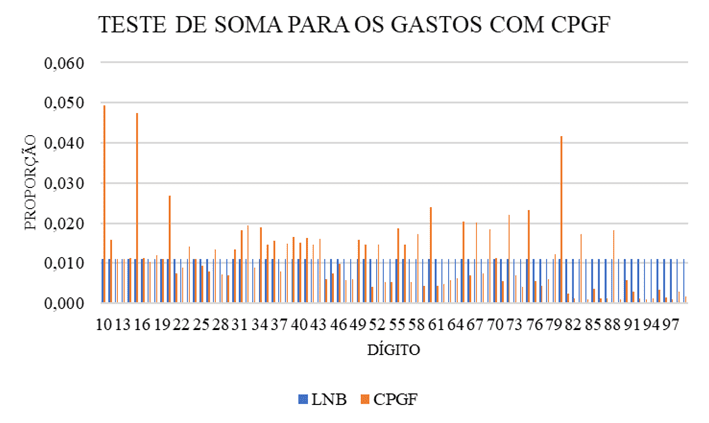 To eliminate the effect of inflation on the tests, was observed on the site of the Central Bank of Brazil accumulated and annual inflation of 2001 until 2014, which correspond to the period analyzed in the survey. Proportional inflation each year was deducted from net income. Settled such a period of time so that there was symmetry in the analysis period, corresponding to seven years with the previous accounting standard and seven years with effects caused by the introduction of new accounting standards. Of the total of 64 companies that are part of that index, 34 of them fit on the basis of selection of the sample of the survey. Selected companies responded in 4/9/2015 for 44.42% participation in IBOVESPA index as table 1. Table 1: sample by segment and participation in the IBOVESPA index. Source: prepared by the authors, 2015. The statistical basis for realization of the research is the difference of means test with Student's T, also known as hypothesis test, to measure whether there has been significant changes in net profits of publicly traded companies. A test has statistical significance when it is unlikely that the result found occurred by chance. To determine the limits of acceptable difference, the significance level, which is the limit that is based on to state that a bypass is due to chance or not. If the results obtained represent a real effect, which cannot be assigned at random, based on the significance level established for the test, one can infer that the results are statistically significant. H0: there was no significant impact on the net profit of publicly traded companies after the adoption of international accounting standards. H1: there was no significant impact on the net profit of publicly traded companies after the adoption of international accounting standards. The formula used to obtain. s ² = weighted Variance of the samples. Going on evidence to reject H0, concluded that the accounting net income suffered significant changes due to the change in accounting standards. If we do not reject H0, one can infer that the accounting net income suffered no relevant changes the fact that the financial statements are drawn up in the light of the provisions of the amended legislation. As already specified, the selection of the sample base of research was composed of 64 companies that make up the IBOVESPA, the sample was composed of 34 companies. The results for a level of significance of 5% are shown in table 2. The results for a level of significance of 1% are shown in table 3. Table 3: results for the level of significance of 1%. The results for a level of significance of 5% show that 14 of the 34 companies analyzed showed significant changes in net income after the adoption of IFRS. Those companies that showed significant changes have 23.99% participation in IBOVESPA, which represents 54% of participation in terms of representation in the index of companies analyzed that compose the sample of the survey. Nevertheless, 83.33% of the companies that have significant changes had increased net profit in the comparison of periods analyzed in 2001 to 2007 (prior to the adoption of international accounting standards) and 2008 to 2014 (later the adoption of international accounting standards). To a level of significance of 1%, 11 of 34 companies analyzed showed significant changes in net income after the adoption of IFRS. Such companies that showed significant changes have 18.74% participation in IBOVESPA, which represents 42.18% share in terms of representation in the index of those that make up the survey sample. It is worth mentioning that 90.91% of companies that have significant changes had increased net profit in the comparison of periods analyzed in 2001 to 2007 (prior to the adoption of international accounting standards) and 2008 to 2014 (later the adoption of international accounting standards). For companies that showed significant differences in the level of significance of 5% and 1%, the decision to reject the null hypothesis can be interpreted as an indication that the introduction of international accounting standards impacted net profit of publicly traded companies that make up the IBOVESPA significantly. The present study had as main objective to analyze the impacts occurring in the financial net income of publicly traded companies listed on BMF BOVESPA the IBOVESPA & after enactment of law 11,638/07 and adoption of international accounting standards. The introduction of international accounting standards in Brazil from 2008 brought new concepts and a new approach to accounting in Brazil. Through review of the literature and research conducted, were highlighted the main changes brought about by the new legislation, such as main factors changes in accounting practices that have been adopted in Brazil through the regulatory framework of financial accounting designed to converge the local to international accounting standards, as consequences a number of modifications in the legislation. The expectation of convergence with the IFRS was that, as has happened in other countries, in Brazil, companies acquire benefits of liquidity, lower capital costs and greater appreciation and attractiveness in the market, taking into account the importance of internationalization and its standards. The essence on the form is of extreme importance to the situation of the legal system. In view of the new accounting scenario, i.e. the primacy of essence about the form, providing useful data from the moment that reflect actual economic reality form, noting the primacy of economic essence on the legal form of economic events. Nevertheless, the research analyzed statistical form if there have been significant changes in net profits of non-financial companies that make up the BOVESPA INDEX. The empirical evidence show that there were significant differences for these companies to a level of significance of 5% and 1%. Although significant differences have not occurred for all companies, 41% of the companies analyzed showed significant differences at a level of significance of 5%. Of the total of 14 companies analyzed, 12 showed an increase of net income and 2 showed a decrease in net income. To a level of significance of 1%, 32% of these companies showed significant differences, with 10 of the 11 companies analyzed showed an increase of net income and 1 presented a decrease of net income after the introduction of international accounting standards. After the review of the literature and analysis of the results presented, gathered evidence and information to develop a coherent response to questioning that moved this research, that is, about the possibility of a change in accounting practices touch the net profits of publicly traded companies listed on Bovespa BM&F that make up the BOVESPA index. It was concluded, on the basis of tests performed, there was a significant change in net profits of publicly traded companies that make up the Ibovespa, for the analyzed period of 2008 to 2014 compared with the period from 2001 to 2007, according to the methodology used to conduct the survey, showing an increase in net income after the adoption of the international accounting standards , noting that this difference is not extended to all companies. Although the results are not in line with the research conducted by Barnes et al. (2011), who argue that there are no significant differences in the profitability indicators, it is worth noting that the difference in financial indicators relating to profitability may be related to an increase or decrease in profit, as well as the increase or decrease of other variables that make up, because they examine the set without explaining what the factor that impacted on changing the financial indicator analysis. Furthermore, as limitation of research, was not taken into account other variables that can affect the net profit as the interest rate of the economy, reinvestment rate among others. Thus, it is suggested to further research that are considered significant differences in other variables that make up the financial indicators relating to profitability after the adoption of IFRS. BAPTISTA, e. m. b. gains in Transparency Versus new instruments of manipulation: the paradox of the changes Brought by law No. 11,638. RAE-business magazine, v. 49, n. 2, Apr-jun, 2009. BARNES, J. P.; AHMAD, m. b. V.; MACEDO, d. a. S.; RUN, l. j. analysis of impact of changes in Brazilian accounting standards: a comparative study of the financial indicators of Brazilian companies for the year 2007. Contemporary accounting magazine, Florianópolis, v. 8, n. 15, p. 105-128, 2011. Brazil. Normative instruction nº 1,492, of 17 September 2014. Available in <http: www.receita.fazenda.gov.br/="" legislacao/="" ins/2014/in14922014.htm="">.</http:> Access in 11/14/2014. CARDOSO, Sarita Fernandez. The tax law and international accounting standards: an analysis of its reception and reflections in the Brazilian legal system. Nova Lima-MG: Faculdade de Direito Milton Campos, 2012. LODDI, Cesar. The main changes of Law 11,638/07 and international accounting standards – A case study in a corporation. [Online]. Available in <http: cesarloddi.com.br/educacional/wpcontent/uploads/2014/02/mudan%c3%a7as_lei_11638.pdf="">.</http:> Access in 11/14/14. Martins, Eliseu; SANTOS, Ariovaldo dos. Some points of Law 11,638 and the internationalization of brazilian accounting. Ibef News, Sao Paulo, p. 28-30, mar. 2008. NOGUEIRA JUNIOR, Edgard et al. Early adoption of IFRS in Brazil: impacts on the relationship between profit and operating cash flow. Accounting Vista & Magazine, v. 23, n. 1, p. 47-74, 2013. PEDRO, Ismael Sanches. The applicability of the new Brazilian accounting standards (IFRS) in small and medium-sized enterprises, its benefits and conflicts with the national tax system. Barretos-SP, UNPR: 2012. SANTOS, E. S.; CALIXTO, l. impacts of Early International Accounting harmonization (law 11,638/07) on the results of publicly-held companies. RAE-electronics, v. 9, n. 1, January-June, 2010.